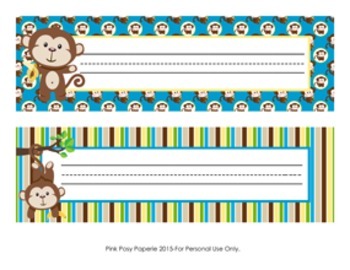 These sweet name plates are great for a monkey theme classroom. They measure 10 inches wide by 3 inches tall. 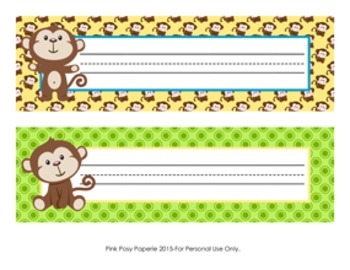 Print onto cardstock, write students' names and laminate for sturdiness. File is not editable. File includes two 8 1/2 x 11 sheets. Each sheet contains 2 different name tags. Graphics by Paper Pixel Prints and Happy Heart Studios.